Solbeso, roughly translated to "sun-kissed" I suppose, has recently launched the first spirit to have been distilled from the cacao fruit (hand-sourced from countries such as Peru and Ecuador), resulting in smooth, concentrated aromas and a refined flavor. Although currently only available in Miami and NYC during this preliminary phase, below are several cocktails to ask for by name--and to make in your own home soon! Combine ingredients into a shaker filled with ice. 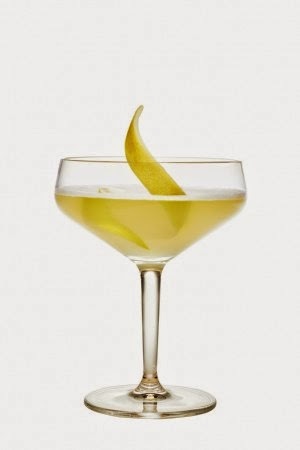 Shake, then strain into a cocktail glass and garnish with a lemon peel. 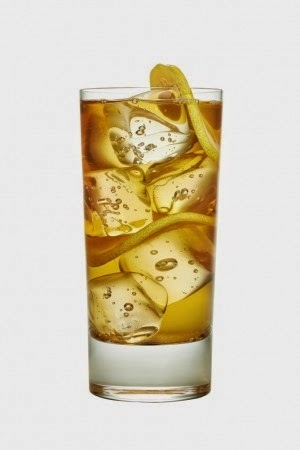 Build in a highball glass over cubed ice. Stir and garnish with a wheel of lemon.